My first source for details of Harry's siblings was a letter from the daughter of his first marriage. No chronological details were given. In May 2016 I was contacted by a Morser relative through this website. His information is slightly different. Click on the link, to the left, "The Morser Families", for more information about his children. He was buried in the Wiener Zentralfriedhof in Simmering. 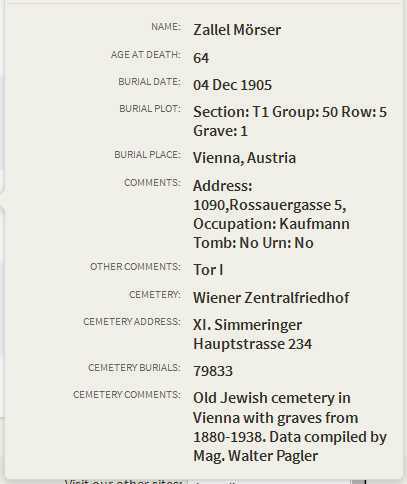 In the cemetery records his occupation is given as "Kaufmann" (Merchant/Businessman). Oral history say he was a chemist in Vienna.